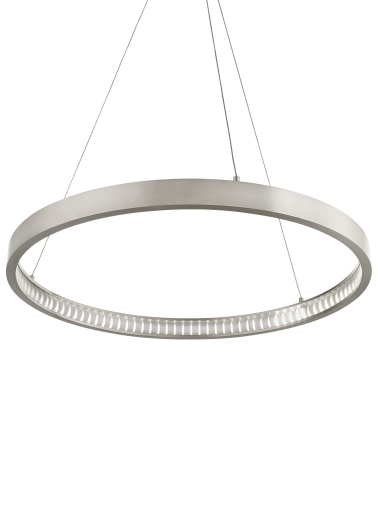 The Bodiam Suspension is an LED chandelier inspired by medieval cast iron light fixtures. 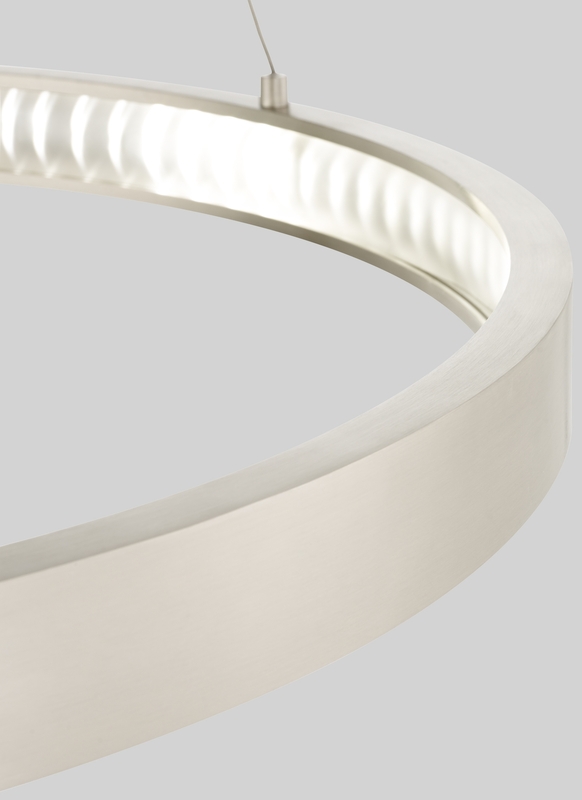 The thick metal outer ring comes with stacked rows of inward facing LED lights. 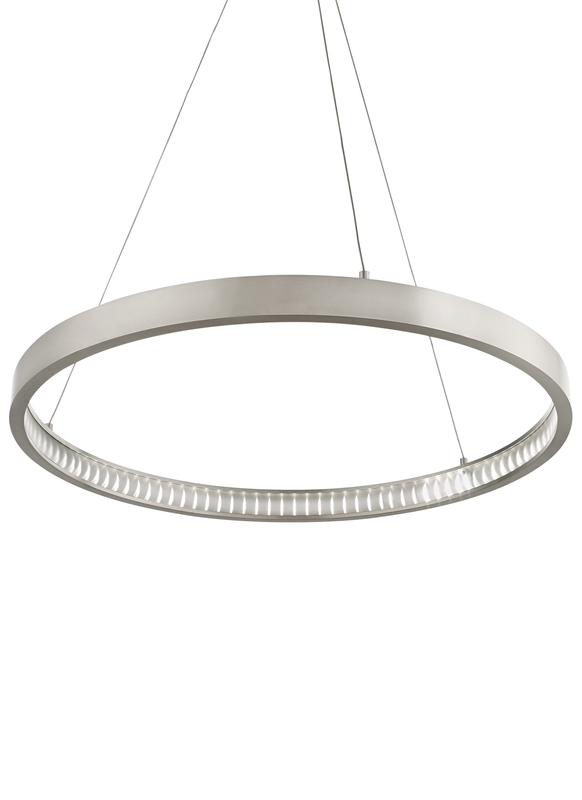 The lights have a linear spread diffuser to create a twinkling effect. Includes 28 watt, 2500 net lumen, 2400 or 3000K LED. Dimmable with low-voltage electronic dimmer. Fixture provided with twelve feet of field-cuttable cable. Canopy is 6.5" diameter x 1.7" H.